A forthcoming post from Sarah had me rummaging around for something I wrote many moons ago on the basics to consider for a website. So during this Sunday of housekeeping, I thought I’d review that document and see how those rules apply to a WordPress blog/website. 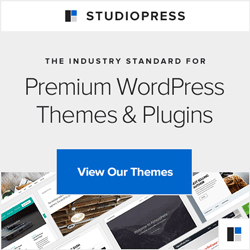 Now of course your overall design wants to reflect your company’s professional image – and WordPress really is useful for that. If your website looks unprofessional, you will be perceived as being unprofessional – it is as simple as that. We are all expected to have a presence on the Internet these days, and it can be hugely useful for your marketing, but be sure that it looks good, that it does not look as though your nephew has been practicing his web design as a “favour” for you (unless of course he’s a professional!). No Animation! Trust me – no scrolling text, flipping envelopes (fewer of these nowadays, thank goodness, but they are still about), animated images – anything that does not have a purpose or that distracts your visitor from the information they want. Very rarely is this going to enhance your visitor’s opinion of your website. You have your visitors’ attention for just 1/20th of a second – within that tiny timeframe they know whether they like your website or not. Mind you, if your page has taken longer than a few seconds to load, they’ll probably have lost interest anyway, clicked the “back” button and be away to the next website. No clutter either – don’t be afraid of space – this makes it easier to read the content, which is what people look at even before the images. And italics – again – please don’t. It’s much easier to read non-italicised text on-screen. Indent your text or use some other way to distinguish it from the main text. Be gentle with your visitors’ eyes – pink on orange will have them hitting the “back” button before they even (try to) read a word. Textured backgrounds, pale text on light backgrounds – anything that makes it less easy on your visitors’ eyes will tell them that you’ve not thought about making their visit a positive one. There’s a really good reason why black on white is the most often used format – it works, it’s easy to read. Your visitors do not want to be wowed; they want to find what they’re looking for. And while we’re at it – make the text a sensible size – too small is irritating – if you want tiny text at least make it possible for the visitor to increase the font size (basic accessibility). You do know that we can do that – in your browser hold down your Ctrl and + keys to see an increase in the text size (or not) – good to see what happens to your design when you do that, too. There you go – a few of the old design dos and don’t that still apply. Much of this is taken care of with WordPress, but there are plenty of themes available that break every rule above! Think of the websites that really hold your attention, that have you wanting to do more, read more, get in touch – make it simple for that to happen on yours.